Looking to make your life an adventure? Here’s our beginner’s guide to teaching English abroad, so you can start getting paid to travel the world! Aren’t these kids just the cutest? Travelling requires time and money. For some reason, it’s hard to come by both of them at the same time. Do you ever find that you have time to travel, but not enough money to do it? Or maybe you’ve got plenty saved up for a trip but just can’t take the time off? The cycle repeats itself over and over again, until hopefully one day you’re retired, have some savings, and are finally ready to see the world. If you’d rather travel before your golden years, what are your options? Unless you’re independently wealthy or you’re lucky enough to have someone else footing the bill, you’ll have to make some money and find the time to travel. One great way to do both at the same time is working as an ESL (English as a Second Language) teacher. We’ve been doing just that for the last 8 years, and it’s afforded us a life of travel and cultural insight that we would never have gotten had we stayed put in the US after college. 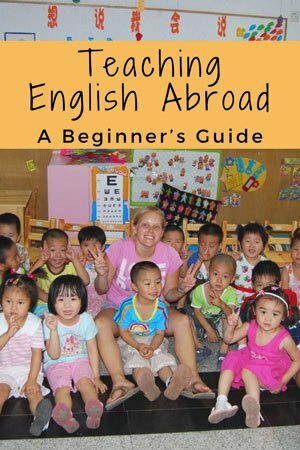 Here’s a brief beginner’s guide to teaching English abroad along with some insights and advice from a couple of veteran English teachers. One of the first questions you might ask yourself is why should you consider teaching English abroad? If you’re looking for one of the best ways to make money while travelling the world, good news is that this is one of the ultimate options out there! Just like studying abroad, working as an ESL teacher gives you a chance to experience another country and culture for an extended period of time, only this time you’re getting paid instead of paying for it! Every day is a new adventure, as you’ll be learning a new language, trying new foods, celebrating new holidays, and so much more. Living in another country is a far different experience than just visiting. Staying in a local neighbourhood, shopping in the markets, and finding those popular hole-in-the-wall restaurants are some of the many benefits of setting up shop somewhere for a while rather than just passing through for a few days. While you’re sure to be busy with work, every day is a travel experience when you work abroad as an ESL teacher. Before or after work, you’ve got a new city to explore. Plus, you’ll have weekends, local holidays, and vacation time to travel around the country or the region. 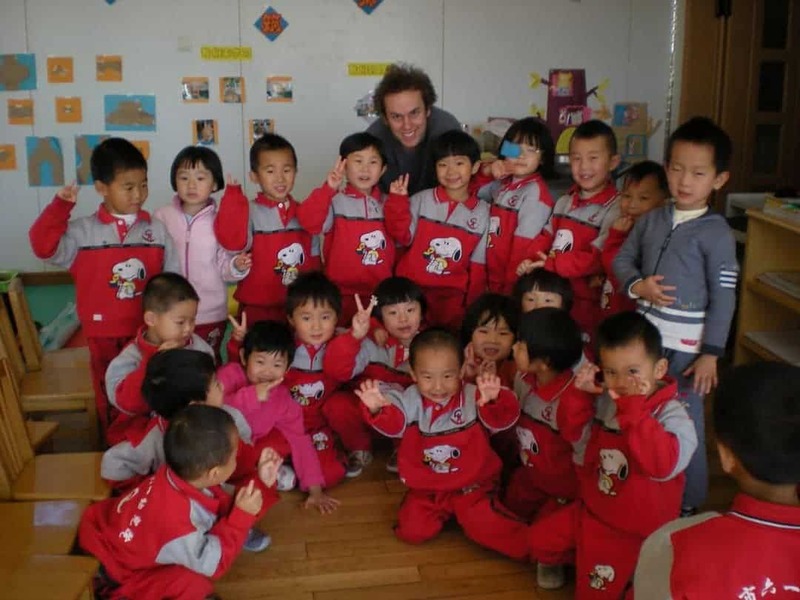 During our 5 years of teaching English in China, we managed to visit more than half of the provinces. There were also trips to South Korea and Japan, as well as a gap year trip across the US, Southeast Asia, and China. Think we would have done all of that with two weeks off a year working back home? Doubtful. We’ve done more travelling in the past five years than we had in the previous 25, and that’s all because of teaching English abroad. Hangin’ with my xiao peng you (little friends). Believe it or not, it’s very possible you could end up working less and saving more by choosing to teach English abroad. Of course, this all depends on where you choose to go and what kind of lifestyle you have. We’re most familiar with the ESL markets in Asia, and in places like China, Korea, Taiwan, and even Vietnam and Thailand, you can definitely work 20-30 hours a week as a teacher, live a good life, and put some money away. 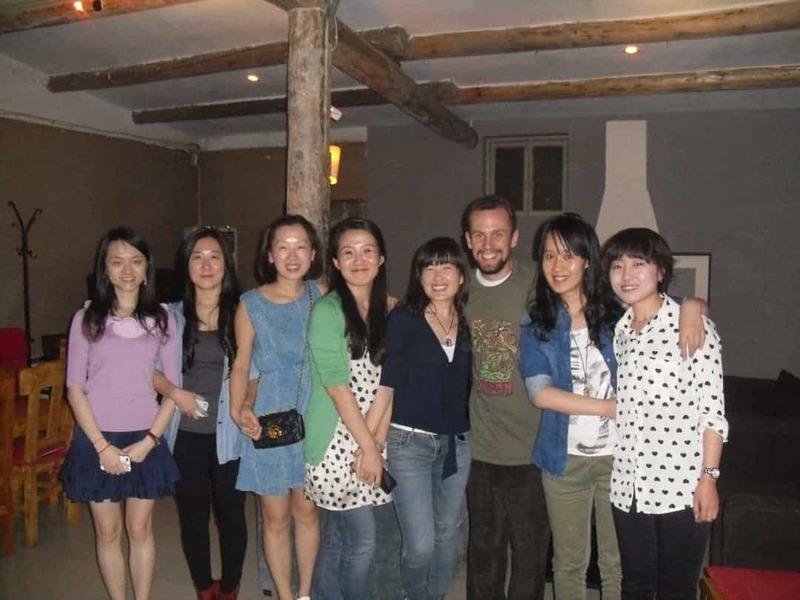 Just look at us – after three years of part-time teaching in Beijing, we were able to hit the road and travel for 14 months and then still had enough left in the bank to pay half a year’s rent and take care of daily costs in Kunming until we settled into jobs there. It’s not like we were living a super frugal life in Beijing, either – far from it, in fact. We ate out all the time, partied like rock stars on the weekend, took day trips on our days off, and enjoyed multiple vacations a year. If you’re smart about it and you balance your time well, you can come away from a few years of teaching English abroad with student loan debt paid off, some money in the bank, and a passport full of stamps. There’s a lot to take into account when you’re thinking about teaching English abroad. Here are some of the most important things to consider. Obviously this is the #1 question when considering moving abroad to work as an English teacher. Positions are available all over the world, from Brazil to Japan and all points in between. Generally speaking, jobs in East Asia and the Middle East are the best-paying. Many Middle Eastern countries require an actual education degree, though, so unless you’ve got one of those, your best bet is China, Korea, or Taiwan. Jobs are available in Japan, but the high cost of living will certainly lessen your savings. Teaching my students about American culture. It’s also quite easy to find a gig in Vietnam, Thailand, or Indonesia. You won’t make quite as much as China or Korea, but many feel this is offset by the more desirable location. There are certainly ESL jobs in other locations, these are just the best bets for people just starting out who would also like to save money. Living in Italy will cost you a lot more than China, and teaching in Peru will pay far less than Korea. We’re headed through Latin America and plan to do serious research into the ESL market there, potentially even taking jobs if we like a place enough, so stay tuned for more from that corner of the world. I didn’t go to school for education. How can I be a teacher? I don’t even speak (insert language here). How can I teach kids there? These are valid concerns, for sure. Unless you want to work in an international school or you really want a high-paying gig in Saudi Arabia, your lack of an education degree is no problem. In most places, you’re fine with a Bachelor’s degree of any kind. It’s even possible to land jobs without a degree at all depending on where you are. As far as speaking the local language, English schools exist so you can teach people English, not sit there and butcher their native tongue. When we taught in China, one company we worked for even forbid teachers from speaking Chinese to students, even if we were more than capable of doing so. If it’s little kids in the class, there’s often a local teacher there on hand to help out and translate. One great part about teaching English is that you can show up dressed like Santa all December. The rules are changing all the time, and we know people who have landed jobs with less than that. Just do your research into the places you’re considering teaching, send out some resumes and cover letters, and see what happens. While it’s not always required, it’s highly recommended you go ahead and get some sort of TEFL/TESOL certificate. These can be done online or in the classroom and come in all shapes and sizes. We did ours in a month online for about $200 each through Bridge TEFL, and that was enough to get working visas in China. We’ve met others who have done courses in places like Chiang Mai, Thailand – not a bad spot to spend a few weeks at all! We’ve partnered with MyTEFL, one of the world’s leading online English teaching schools, to give readers our readers 35% off their courses! They even help you find a job once you’ve completed it. Just use the coupon code “SAUR35” and get started teaching English abroad today! Even if you don’t end up needing the certificate to land a job, it’s certainly helpful to gain some knowledge and understanding of the ESL world. We learned for the most part on the job, and let me tell you we probably taught some awful classes those first few months! You’ll be much more confident interviewing and doing demo classes if you’ve actually studied and practiced beforehand. Teaching adults has its perks – like getting paid to go out to dinner and drink with a bunch of ladies! Find A Job Or Move First? This last question is the hardest to answer and it totally depends on you and your individual situation. For some, there’s no way they’re stepping on that plane and taking that huge chance without a job lined up ahead of time. Others worry about getting there and hating the job or place they’ve chosen and regret it immediately. In our experience, this is what we’d recommend if at all possible. Save up enough money to go to the country or countries (if in the same region) that you would like to teach in. While you’re saving, do more research into the places, poke around for jobs, and find expat message boards and other resources to get a better feel for what life is like there. Go check it out, planning to stay at least a month. Book an apartment or homestay rather than hostels or hotels so you can actually see what a local neighbourhood looks like. Shop in the local markets and follow the crowds to little restaurants and dive bars. Apply for jobs and actually go interview in person. If you like the place, think the job seems like a good fit, and could see yourself living there for a year, go for it. In many places, it’s possible for you to change over to a working visa in country. In China you’ll have to go to Hong Kong – boo hoo! Go explore this awesome city for a few days and enjoy a forced vacation before you get to work at your new job. In summary, we can’t say enough good things about our experience living and working as English teachers abroad. In addition to saving money and seeing a lot of the world, we were able to immerse ourselves in a different culture and get a unique perspective that’s not possible on a quick trip. What was meant to be just a year-long gig to try something new has turned into a career for us, and we couldn’t be happier about it. 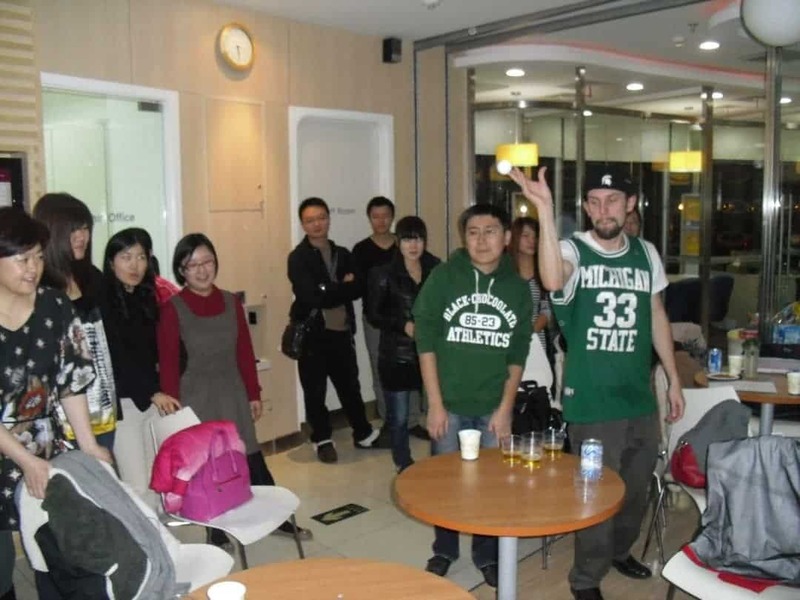 For more detailed information, feel free to check out our guide to Teaching English in China. 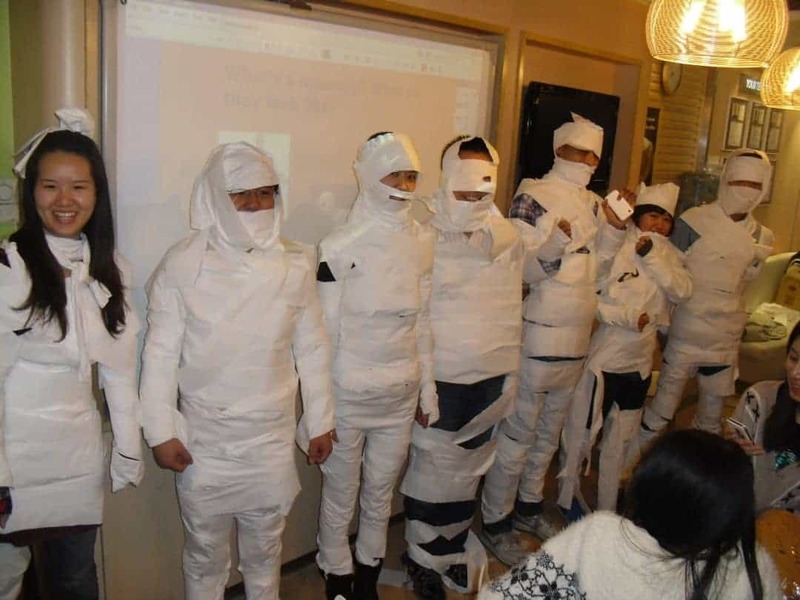 Halloween classes when you can get your students to wrap themselves in toilet paper. Always recommend getting a certificate from a recognised authority, it will give you good leverage and authenticate your skills. Just make sure not to jump onto a bogus scheme! Thank you for your comment Becky. You are right. There are lots of scam websites out there. You definitely have to be careful when getting qualified. Some great advice for those interested in taking the plunge and start a new life teaching abroad. It’s a challenge to fit into a new culture, learn a new language, and get used to the food and weather. Plus, there’s the visa that always need to be renewed, and the stress that goes with it. It’s worth it, but not for everyone. Hello. Is 6 months usually the minimum ? Hey it says on (website deleted. ) 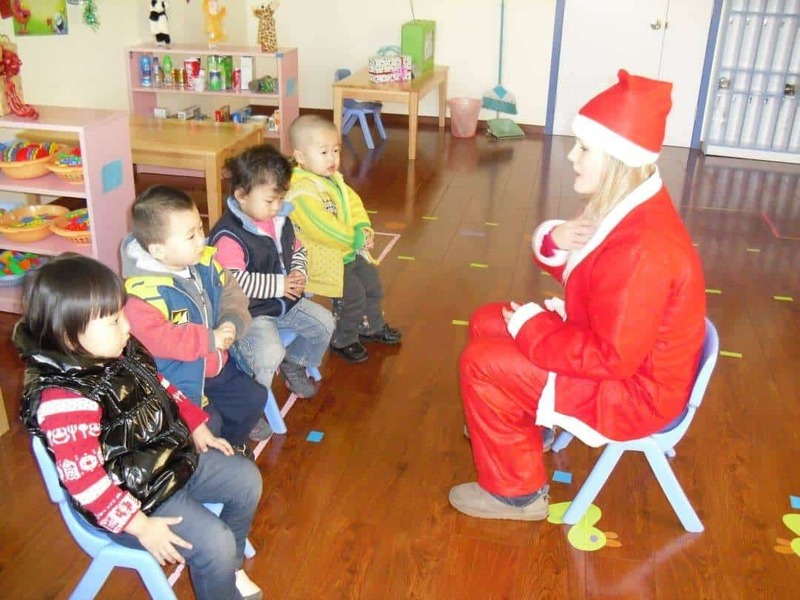 that you don’t need a TEFL certificate to teach in China.